Kerala is known as ‘Gods Own Country’, home to some of the finest tourist destinations for all kind occasions. It witnesses travelers from all across the globe, the serene mountains, the scenic hills, the Kerala backwaters, flora, and fauna are all attracting places. The stunning beaches on the coast of Malabar, tea plantations, the landscape, and the culture and rich history are of the significant places of many. Irrespective of what your mood is, calm crazy or a family getaway you’ll find everything is Kerala. If you’re looking to start your New Year on a delightful and joyful note, then New Year celebration in Kerala is the right choice. These are the top 10 New Year destinations to visit during your new year celebrations in Kerala. You don’t have to search the internet to find the right places for this new year getaway, whether it’s a calm, peaceful or crazy trip with family and friends. This list will be your guide for the tours to Kerala for the new year celebrations. Prepare yourself for the best, most exciting and promising places to visit on your trip because the Kerala new year is all that you need the upcoming year. 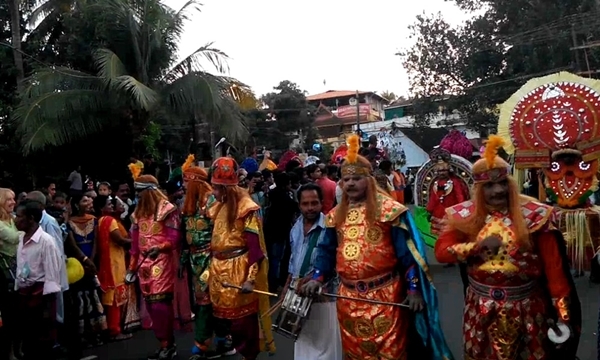 The Cochin Carnival is celebrated in the city of Cochin (Kochi) in December’s last week every year. The main attraction is the parade of decorated elephants, party, fair and games. The preparation for the carnival begins in advance to showcase the rich and old culture precisely. The Carnival promises to mesmerize the tourists and is a most pious gift in a bundle of joy and fun new year celebrations in Cochin. White color seems to dominate the 10 days of celebration in December, all throughout the Cochin Carnival. The new year party in Cochin is fun and the games, cheerful atmosphere continues until the fireworks in the midnight of the 31st December mark the grandeur finale of the carnival. If you have on mind to travel and spend your New Year eve in serenity then you don’t have to worry anymore. Alappuzha or Alleppey the ‘Venice of the East’ that has a number of canals, stunning and beautiful beaches, backwaters, and lagoons is the right place for you. You can explore the backwaters in on the houseboats in Alleppey. It is famous for the backwater trips on the houseboats and seldom comes in first of the places to visit when thinking of new year celebrations. Not just the backwaters, there are few others destinations in Alleppey , like the Arthunkal Church, Marai Beach, and the Chettikulangara Bhagawathy Temple are among the long list. It is the ultimate destination for new year celebration in Kerala. Munnar is amongst the most famous hill station in the South India region. Providing an extreme scenic mountain beauty is one of the top best places in Kerala. The cold and peaceful atmosphere offers a soothing and most incredible feeling. The mountain is covered by large tea plantations giving it a spectacular view, the number of waterfalls is the treat available to the tourist in Munnar. If you’re a bird watcher, in love with nature, or just seeking a celebratory getaway then Munnar is the place you ought to be. It is one of the favorite locations of the tourists, and especially for the ones looking to spend their new year’s eve. Whether you are looking for a quiet or exciting new year, the houseboats will accommodate you with the right amount of fun. The boat ride ensures you have a chill run down your spine, giving you the satisfactory and a breath of fresh air. You can prepare yourself to embrace the challenges of the new year. It is the most suggestible destination to go for the new year celebrations. Kochi, earlier known as Cochin, is the heart of the Kerala, situated on the coast of the Arabian Sea and is one of the must places to visit in Kerala. The Fort Kochi is the main tourist attraction which offers a peek into the history of the city, from British to Portuguese and the Dutch, the culture is still evident. At every nook and corner, there is something new to surprise you. New year celebration in Kochi, a beautiful city which has a lot to offer. Where, the burning an enormous figure of Santa is a 500-year-old tradition that marks the beginning of a new year. It located near the city if Kottayam is a very popular and famous tourist spot for its backwater houseboats in the Vembanad Lake. It is the largest freshwater lake in Kerala. Kumarakom is known for its distinguishable Bird Sanctuary which is home to numerous local as well as migratory birds. Thiruvananthapuram, the City of Lords is the literal meaning. It is the Capital City of Kerala, which depicts the mix of both peace and the contemporaneous city life. It is historically significant, the main attraction is the Padmanabha Swamy Temple situated in the center of the city. This place should be at the top of your new year celebrations list to seek God’s blessings to begin your rest of the trip. Apart from this temple, there are various other places to visit when you’re off to new year celebration in Trivandrum. It is a fascinating beach, on the seaside and high cliffs and is one of the best beaches in the whole of Kerala. It is appealing and very prospective for attracting tourists all across the world. The complete trip could result in finding a nice place for sunbathing, surfing, boat riding and the famous Kerala ayurvedic massages. There is nothing that can beat a nice and relaxing massage that promises to extract the negative energy and charge you with the freshness. It is the best way for new year celebrations allowing you to start with a peaceful mind and calm body. It is rated as the top beaches in Kerala, it is the first choice of many tourists in the month of December. There is nothing better than the new year celebrations in Kovalam. You can reward yourself a powerful and strong sensual massage. There are other beaches such as Light House Beach and the another one is Hawah Beach, it is best for the month of December and January a very desired spot for new year celebrations. Apart from the above places to visit, if you’re looking to go for new year party in Kochi then you have to book in advance. 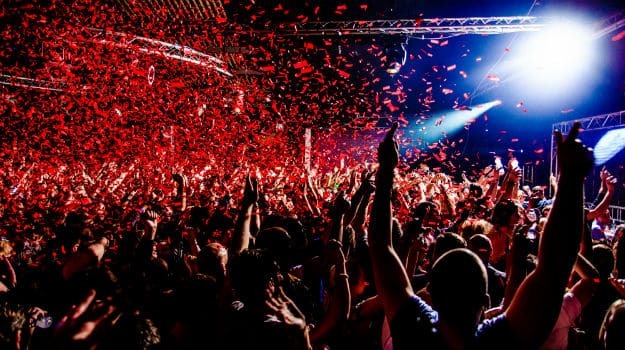 There are a number of posh and lavish clubs that host new year parties in Kochi. Some of the names such as Vivanta by Taj and Hilton Garden Inn for new year party in Trivandrum, and Uday Samudra, Kovalam are amongst the many. The list is not exhaustive; it only sets out the top travel destinations in Kerala for new year celebration. This should be helpful before chalking out places before setting on for the new year celebrations trip to Kerala. You only have to enjoy, relax and visit these spectacular destinations on this New Year’s Eve. Whether you’re looking to embrace the nature by visiting the beaches and the hill stations or dance into the new year, Kerala has everything in its package. TourstoKerala is a popular travel and tour operator in Kerala. We are known for delivering the best Kerala tour packages for our clients from around the globe. Since Kerala can be the ideal destination to kick-start this new year, contact us today, for booking a tour package that suits your needs.